Heroes Reborn is a 13-episode "event miniseries" which premiered on September 24, 2015, as a continuation of the NBC science fiction serial drama series Heroes. Series creator Tim Kring returned as executive producer. During the 2015 Super Bowl, NBC aired a 16-second teaser promo for the series. According to the official synopsis, the miniseries will "reconnect with the basic elements of the show's first season" in which ordinary people discover that they have special abilities. The show will be preceded by a new digital series that introduces the new characters and story lines, around which Heroes Reborn is centered. According to the official website, the series takes place one year after a terrorist attack in Odessa, Texas. The attack destroyed the city and the government blamed those with extraordinary abilities. Consequently they must live in hiding or flee from those with bad intentions. Two such vigilantes, Luke (Zachary Levi) and Joanne (Judi Shekoni), lost someone important in the event and seek revenge. Noah Bennet, aka HRG (Jack Coleman) is also in hiding, but is found by the conspiracy theorist Quentin Frady (Henry Zebrowski) who tries to show him the truth behind the Odessa tragedy. While they’re in hiding, some of them are discovering their newfound skills. Malina (Danika Yarosh) is a courageous girl, who was brought up much overprotected, but she finds out she is destined for greatness. Erica (Rya Kihlstedt) is the head of the highly successful tech conglomerate Renautas, and she has her own dark goals. 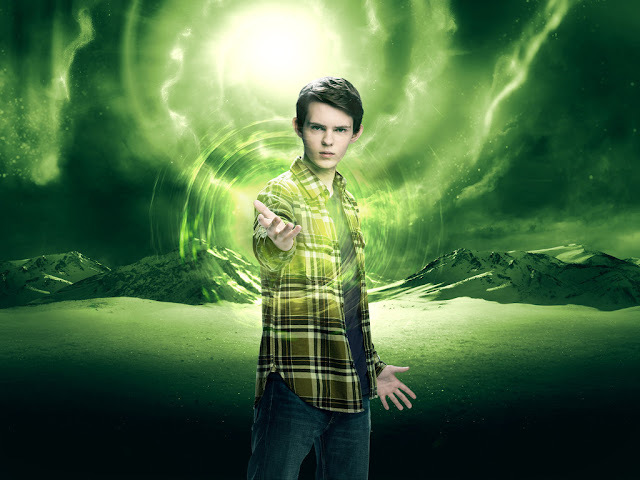 Awkward teen Tommy (Robbie Kay) tries to live a normal life and just has eyes for his dream girl, Emily (Gatlin Green), but he discovers a new terrifying ability that makes his will almost impossible. Meanwhile in Tokyo, Miko (Kiki Sukezane), a unique and quiet girl is looking for her missing father, but she hides an extraordinary secret that can be dangerous to her. In Los Angeles, a singular type of hero is emerging through Carlos (Ryan Guzman), a former soldier. As long as new Heroes are emerging, some heroes of the past such as Hiro Nakamura (Masi Oka), Matt Parkman (Greg Grunberg), Mohinder Suresh (Sendhil Ramamurthy), The Haitian (Jimmy Jean-Louis), Angela Petrelli (Cristine Rose), and Micah Sanders (Noah Gray-Cabey), among others, will cross paths with them. And together, they will have their ultimate quest: save the world and mankind.